CSMS Magazine has just learned that former US president Bill Clinton has been nominated by the United Nations as the chief coordinator for the upcoming rebuilding effort in Haiti. What has been a suspicion for days is now a true reality. No one knows for sure what will be the role, if any, of the Haitian government. Shunned by its people after being literally absent in the aftermath of the humongous earthquake, Preval is now regarded as nothing but a figurehead, a rubberstamp head of state, bent on executing with no shame whatever he is dictated to do. At least, that is what most Haitians as well as international observers are saying. Haitian officials have countered these criticisms, reminding the media that the government has lost a lot of its good professionals, and they may not be on the air, but they have been working hard behind the scene. These are declarations made by both Haiti’s Prime Minister Jean Marx Bellerive and the lady with the golden head and Minister of Information and Culture, Marie Laurence Jocelin Lassegue, who is clumsily trying to salvage what is grossly unsalvageable. Many agreed that Bill Clinton visible role on the Haiti’ s reconstruction effort is the direct result of Preval’s utter of passiveness, his inability to lead when his people need him the most. In time of greater adversity, a leader’s assurance—even in words—is quintessential to bringing much needed psychological comfort to his all-over-sudden deprived people. Within minutes after the earthquake, Preval should have been on the air to speak to the nation to explain to 9 million Haitians what his government intends to do to fight off this latest calamity. No one says that the Haitian government could have tackled this huge task alone, for what took place in Haiti last month carried weight of biblical proportion. One can’t imagine any of the Caribbean countries that could survive this tragedy on its own. Nor do we believe Haiti is a doomed State, a basket case that only foreign donors can retrieve from the brink of extinction. Haiti is bleeding, but not beaten by the forces of nature. Haitians have weathered major atrocities before, and they have always managed to survive each time with a much stronger willingness to thrive, only to be pinned down by those who are supposedly responsible to lead them out of their entrenched poverty. When it comes to dealing with the Haitian masses, nothing has been left undone to cripple their intellects, darken their minds, reduce them to eternal panhandlers, break their moral instinct, debase their self-esteem, and obliterate all traces of human decency and any hope for the future. But the resiliency of the Haitian people always surprises them. Haitians are no different than any other people. They simple do not always get the same opportunities that others usually get in other countries. And their biggest misfortune lies in the fact that their leaders for the most part have always been conformist politicians like Preval, totally beholden to a recalcitrant bourgeoisie and its international backers. This assertion is also felt by many Haitians professionals living overseas. Ludovic Comeau, economist professor at DePaul University and former chief economist of Haiti’s Central Bank, conceded to CNN’s Anderson Cooper that Bill Clinton’s role should have been no more than “a facilitator” helping Haitians directing the rebuilding process in their own country. Comeau went to say that there will be a big conference in the coming months when many Haitian professionals will gather together to discuss ways Haitian professionals could be useful to the reconstruction of their homeland. As the world sympathy is firmly behind the Haitian people, it is not the time to bend over backward and say “Yes sir.” Haiti needs all the help it can get, not only from some select partners. Haitians officials can’t even realize that this international outpouring of support is their best line of defense against arrogantly compassionate neighbors. Also see The meeting in Montreal: A photo-op? Haiti: what is the way forward? 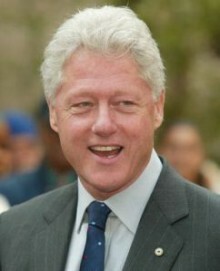 Bill Clinton: The new proconsul for Haiti?